SEE THE FACEBOOK ALBUM FROM THE ADOPTION EVENT HERE. On June 18, 2014, the Wisconsin Humane Society held an adoption event for 70 of the animals seized from the Orphan Kanines facility in Caledonia. They had been living in deplorable conditions, covered in their own waste, inhaling toxic air, and suffering from numerous illnesses. After such a difficult past, it was our honor to rescue these sweet animals, clean them up, provide them with proper veterinary care, and introduce them to a long line of eager adopters. Our adoption counselors spent 8 hours meeting with about 200 families, and at the end of the day, 64 animals found loving homes! We are so grateful to everyone who adopted, donated, volunteered, and helped spread the word about this event; it never could have happened without such incredible community support! We simply can't thank you enough. Officials from the Wisconsin Humane Society (WHS) announced today that an adoption event is scheduled for the animals seized from Orphan Kanines last month. Those adoptions will occur at the WHS emergency shelter at 5326 Durand Avenue in Racine on Wednesday, June 18 from 12:00 p.m. - 8:00 p.m. The shelter expects that at least 50 dogs and some of the cats will be available for adoption that day. 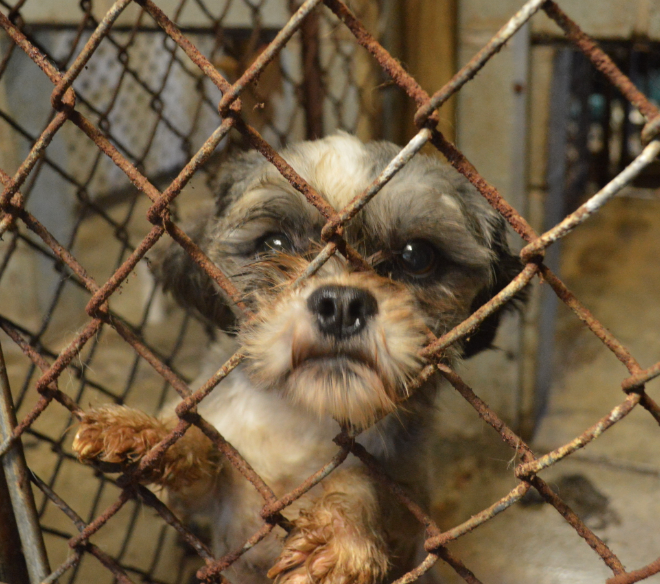 Animals not yet ready for adoption will become available as they are medically cleared. 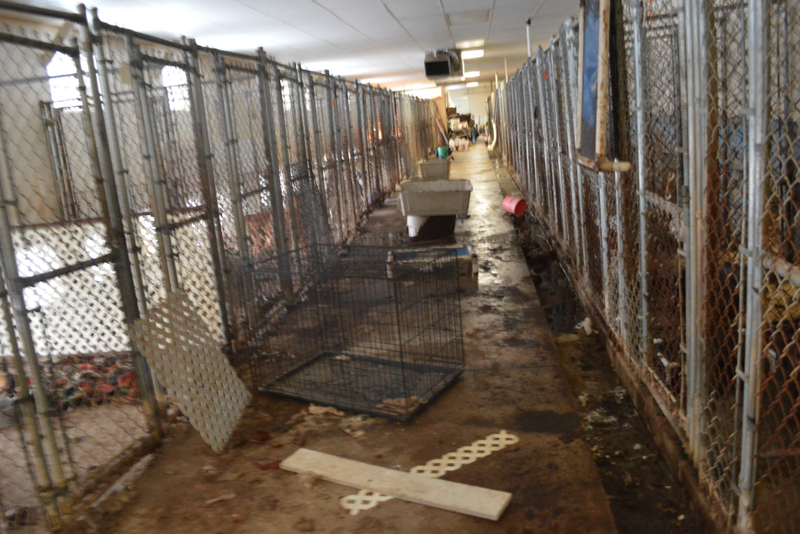 WHS received 80 dogs, 12 cats and 2 pigs from the seizure. Nearly every animal rescued from the deplorable conditions was in need of some medical attention. WHS treated dogs for respiratory infections, ear and eye infections, glaucoma, topical wounds, fleas, dental disease and paw injuries from standing in urine and feces. According to shelter officials, there will be no holds taken for animals and all adoptions will be first-come, first-served, as long as the match is a good fit for both the family and animal. Everyone will be asked to fill out an adopter profile on-site, so there is no need to fill it out online ahead of time. Every potential adopter will work one-on-one with a counselor to talk through the animals’ needs, and adopters should be prepared to take their new family member home the same day. Interested in adoption? Bring your photo ID and proof of residence on Wednesday. WHS adoption fees for dogs will range from $79-$309. As usual, the adoption fee for all adult cats is waived. Adoptions include spay/neuter surgery, microchip, initial vaccinations, 30 days pet health insurance and a certificate for a free veterinary exam. In order to fully staff the special adoption event, the WHS Racine Campus on Chicory Road will be closed Wednesday, June 18; the WHS Milwaukee Campus will be open from 5:00 p.m.to 8:00 p.m. on Wednesday, June 18 and Ozaukee will be open 5-7:30. Our recently posted Facebook album is intended to reunite any lost or boarded animals seized in the Orphan Kanines case with their owners. It contains photos of all the animals, with the exception of the two pigs, and the three dogs whose owners have already come forward with documentation sufficient to establish ownership. For the full album, click here. So many people have assisted us in rescuing the animals from Orphan Kanines, but there are a few heroes out there whom we truly can’t thank enough... Greater Racine Kennel Club: you were our guardian angels when we needed emergency space for a long weekend, and you made it possible for us to get the dogs out so quickly. Steve Schultz, Holly, and that miracle trailer from the Sunburst Project: you were on scene in a flash to transport dogs last Thursday. And this week, you did it again. Our operations team may name our next vehicle after you! Regency Mall: we needed short-term space and you somehow made an occupancy agreement happen nearly overnight. We are so grateful to your staff for understanding the urgency of our situation. Mechanical Associates of Wisconsin, you understood how important plumbing and HVAC are to animal health, and your quick work ensured a safer place for the animals. Lastly, ServiceMaster, you managed to choke up even our Finance Director as he shared this note with us today: “ServiceMaster is providing a discount based on the type of work that is being done at this location. Providing care for animals in need is an extremely important part of our community and therefore ServiceMaster will be taking $500 off of the total bill.” You didn’t have to do that after working so hard to clean the space top to bottom, but you did. There are so many heroes who have done so much, but today we wanted to thank the five of you. You’ve helped to save the lives of these animals, and we hope you know just how deeply we appreciate your compassion and hard work. Q: When will the dogs be available? A: We understand that the owner of Orphan Kanines has relinquished the animals as of Monday afternoon, which is a great step toward WHS being able to put the animals up for adoption. Because the owner may have been offering boarding services, we want to do as much as we can to resolve potential claims of ownership before dogs are made available for adoption. In addition, many of the dogs need important medical treatment before moving into the adoption program. In the meantime, the dogs are getting top notch care and extra TLC from our staff and volunteers. Thank you so much for the inquiries about adopting – we know we’ll find incredibly loving families for these sweet souls. We will be sure to update you when they are ready to be adopted. 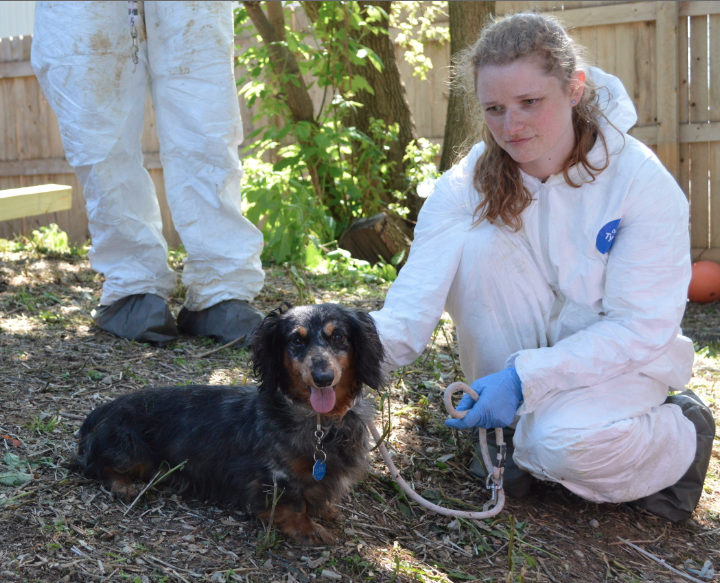 We have acquired a short-term facility in the Racine area to house nearly all the dogs from last week’s seizure of 81 dogs, 10 cats and 2 pigs from the Orphan Kanines facility in Caledonia, as well as from two private residences. Housing the dogs at one location will allow us to best care for the seized dogs, as well as ensure that we can continue to offer regular services for the communities we serve. The facility itself is a spacious, temperature-controlled facility with areas for the dogs to get proper exercise. Staff members from all three WHS campuses, including veterinary personnel, will be onsite every day caring for the dogs. Current volunteers from all three WHS campuses will also be assisting at that temporary location. Nearly every animal rescued was in need of some medical attention. 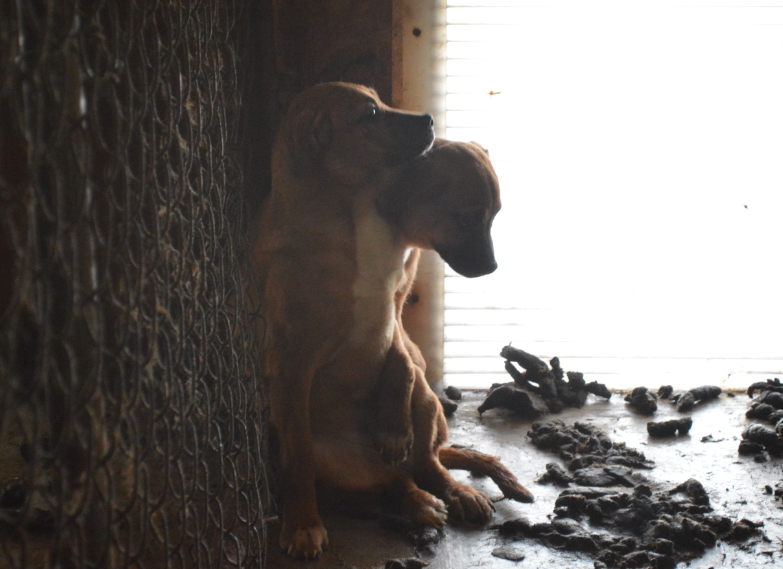 The deplorable conditions caused respiratory infections so severe in some of the puppies that chest X-rays are necessary to determine the extent of the infection. WHS is currently treating other dogs for ear and eye infections, glaucoma, topical wounds, fleas, dental disease and paw injuries from standing in urine and feces. One dog needed emergency surgery for a condition called pyometra, which would have likely killed her if not caught. Another has a serious heart murmur. Many people have inquired about a wish list of items we most need at this time (toys, treats, hot dogs, bleach, paper towels). Check out our new Amazon Wish List dedicated to the needs of the animals from the Orphan Kanines case. Note: Please be sure to put your name, address, and/or email address in the "message" line of your order so we are able to send you a donation receipt and thank you note! The Wisconsin Humane Society has removed 72 animals from the Orphan Kanines facility, in addition to 19 other animals at two private residences, a total of 91 animals. They are being housed at our WHS locations, as well as at one private facility that graciously offered to help. The animals are not yet able to move into our adoption program because it’s important to follow the appropriate legal process, but they’ll be resting in clean, comfortable conditions under the supervision of our staff until we know more. We thank the Caledonia Fire Department and Caledonia Police Department for their swift, expert and compassionate response. We are absolutely overwhelmed by the outpouring of community support we’ve received throughout the last 24 hours. Your kind words, donations, and offerings of assistance help fuel us as we continue to care for these dogs from these truly heartbreaking conditions. We will keep you posted on wihumane.org of our most important needs. In the meantime, we have set up a special fund that will go directly to help the animals affected by this situation. How many animals were seized? We currently have 80 dogs, 9 cats and 2 pigs in our care, a total of 91 animals. 72 animals were from the Orphan Kanines facility, 7 from a private residence in Racine, and 12 from a private residence in Caledonia. 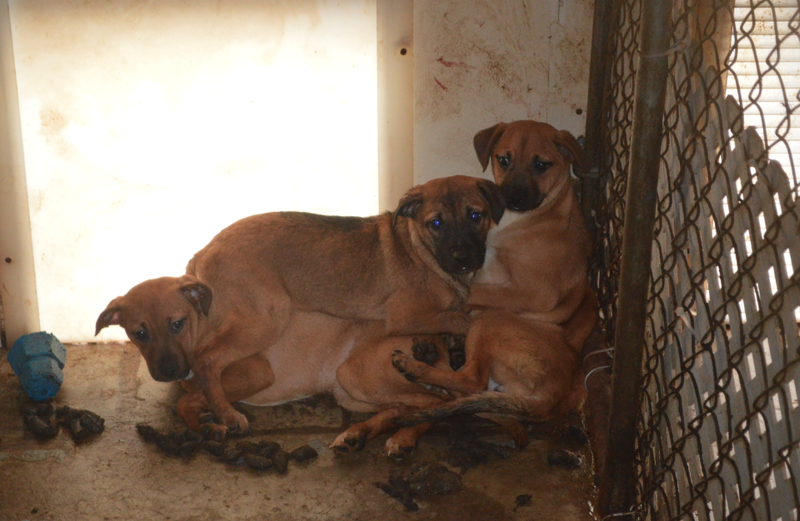 Our veterinary team has noted a number of medical issues with the animals seized. Conditions include eye and ear infections, sores of their feet from standing in urine and feces, topical wounds, upper respiratory infections, respiratory distress, infected skin, bleeding paws and significant matting and nail issues. The pigs both have eye infections and hoof problems. We are currently housing the animals at our Racine, Milwaukee and Grafton locations, in addition to one private partner in the Racine area. We are working to consolidate housing to one site for most efficient use of our resources. The two pigs are being housed by a partner who has a farm in the area. What were the conditions inside Orphan Canines? The floors were concrete and feces covered. There was little to no ventilation, very little room for dogs to exercise. There were few toys and dry areas for them to rest. What are the effects of those conditions on animals? The poor air quality causes respiratory issues and difficulty breathing. There was a high moisture content in the air, as well as mold on the feces, which make it worse. The contact with feces caused chronic ulceration, sores and even bleeding paws in some animals. Disease transmission is also more likely in conditions with poor air circulation. The Village of Caledonia pays a flat fee for all our services, but our expenses will exceed that. All current costs are being directly incurred by the Wisconsin Humane Society. We are currently in need of monetary donations to assist with the expenses, as well as toys, treats, hot dogs, canned food, bleach, and paper towels. People can donate online and in-kind donations can be dropped off at any of our locations in Milwaukee, Racine and Ozaukee Counties. Where should offers of assistance be directed to? All offers to help with grooming, fostering, space, etc. 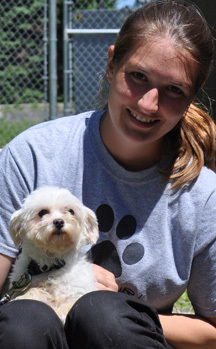 should be emailed to WHS staff member Ashley Rucks at arucks@wihumane.org. Can I visit the dogs? At this time we are using our public space at the Racine Campus for active triage, so we’re requesting that the public give the animals the weekend before visiting. Please remember that the animals are not up for adoption at this time, and they have gone through a lot the last 24 hours and deserve a little quiet time to adjust. Our Milwaukee and Ozaukee Campuses are open as usual, and it’s a great time to adopt, especially as we try to make more space available for these animals. What will be the outcome of the animals? We are hopeful to save most, if not all the animals. There are a few animals with significant medical concerns, including brain swelling, and pronounced lameness and a tumor in one senior dog. The animals are not yet able to move into our adoption program because it’s important to follow the appropriate legal process, but they’ll be resting in clean, comfortable conditions under the supervision of our staff until we know more. Our team has removed 65 animals from the Orphan Kanines facility, in addition to 12 other animals at another location. They are being housed at our WHS locations, as well as at one private facility that graciously offered help. The animals are not yet able to move into our adoption program because it’s important to follow the appropriate legal process, but they’ll be resting in clean, comfortable conditions under the supervision of our staff until we know more. We are absolutely overwhelmed by the outpouring of community support we’ve received throughout the day. Your kind words, donations, and offerings of assistance help fuel us as we continue to pull dog after dog out of those truly heartbreaking conditions. Once we know more about the various medical conditions or foster needs, we’ll be sure to let you know. Thank you all for once again proving what a compassionate community we have the honor of serving. We will keep you posted on wihumane.org of our most important needs. In the meantime, we have set up a special fund that will go directly to help the animals affected by this situation. The link to donate is here. The Wisconsin Humane Society is expecting a large number of animals seized from an organization in Caledonia called Orphan Kanines. We are working closely with the Caledonia Police Department and are so grateful to them for their compassionate response. We are currently assessing the full situation and preparing our team to respond quickly and with the utmost concern for each animal’s health and well-being. Because of the large number of animals, we will need to call on the help of other partners, organizations and individuals in the community. We will keep you posted on wihumane.org of our most important needs. In the meantime, we have set up a special fund that will go directly to help the animals affected by this situation. The link to donate is here. The community of Southeastern Wisconsin is so supportive and we couldn’t be more grateful to the people who have already reached out to us; thank you for your offers of assistance and we will continue to post updates on the site as we learn more. Free turkey dinner with all cat adoptions!